Think of it as a bowl or spoon you can eat. The ice cream cone doesn’t get the same recognition that its frozen companion receives. With variations like waffle cones, sugar cones, and even cones dipped in fudge, it’s time to show the ice cream cone its long overdue respect. Prior to the birth of the ice cream cone, people ate ice cream by licking a tiny amount out of a small glass or metal spoon, sometimes referred to as “penny licks.” Thankfully, that changed (as well as the serving size) with the invention of the ice cream cone. Today, Americans consume nearly 22 pounds of ice cream PER YEAR. To say our tastes have evolved since the penny licks is an understatement! History shows some grey area when it comes to the true inventor of the ice cream cone. However, it can be traced back to several sources around the turn of the 20th century. An ice cream salesman in New York City, Italo Marchiony filed a patent for the first cone making machine. His cone was essentially an edible dish made using waffle batter. Several years later, at the 1904 World’s Fair in St. Louis, Ernest Hamwi was credited with rolling one of his waffles into a cone shape for a neighboring ice cream vendor and calling it a “cornucopia.” It was then that the ice cream cone we know today literally began to take shape. More imitators would follow, but two distinct ice cream cones would emerge as the standards for years to come. They were the common batter cone, which fills a mold to create a uniform shape, and the waffle cone, now using machinery to roll the waffle into the perfect cone shape by the thousands. Ice cream shops all over Washington, D.C., Maryland, and Virginia now scoop their ice cream into these cones each and every day. Whether you’re having a vanilla and chocolate twist or two scoops of Rocky Road, the ice cream cone makes all the difference. Ice cream is found between two cookies, on top of a brownie, and even between doughnuts, but the one true way to enjoy everyone’s favorite dessert started with a waffle and resulted in the ice cream cone. See for yourself how an ice cream cone is made with the equipment that can do it. 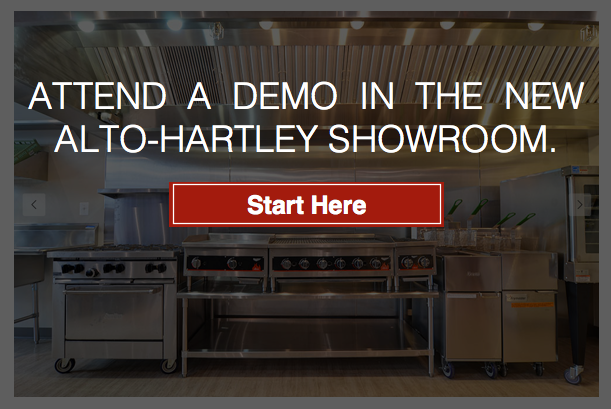 SIGN UP and attend a live demonstration in the new Alto-Hartley showroom to discover more.